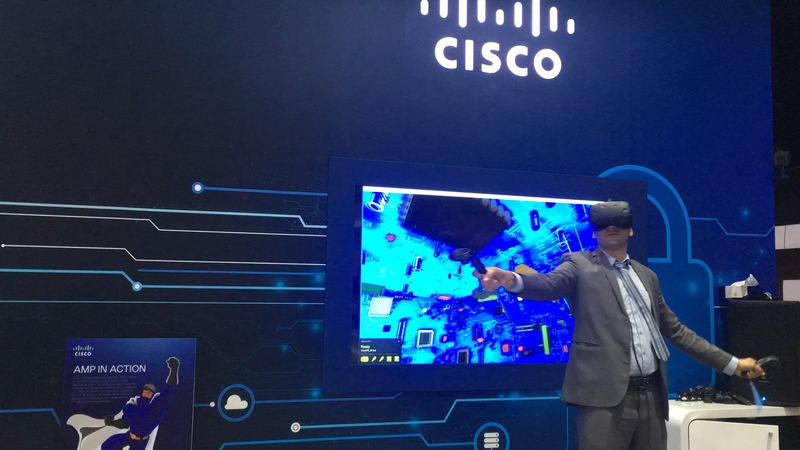 Cisco at their booth in GISE wanted to engage visitors by letting them experience interactive game in VR where player would have two lazer swords that can be used to kill all the malware that was trying to get in to the network. Game was build simple so that even inexperienced players would be able to pick up and play in matter of seconds. There was also a Leaderboard that was build that will allow top three players to have their names registered. Experience was made simple so anyone can pick up & play as many users this might have been their first VR experience. Controls were also simple and forgiving trying to make sure experience is fun and enjoyable. This was built using Unity & HTC Vive.